The marketplace ArtJaws specialized in media arts offers thematic collections and invites guest curators. Emblematic personalities specialized in the art of new media, precursors or pioneers of digital cultures, they operate, for ArtJaws, limited selections of artworks. ArtJaws’ identity is clearly defined by its artwork-oriented mission—to consistently express its expertise through curatorship. Alex Darby (USA), Gilles Alvarez (FR), Klio Krajewska (PL), Emmanuel Cuisinier (FR) amongst others international art curators have already joined ArtJaws with tech arts collections. 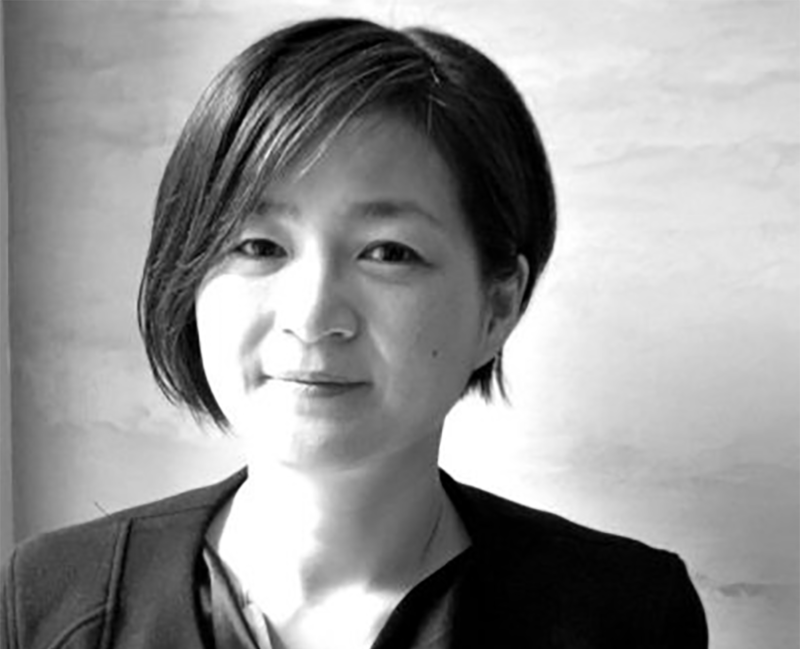 Choi’s recent projects include Neotopia: Data and Humanity at Art Center Nabi (2017-2018), Uncanny Valley?, Da Vinci Creative 2017 at Seoul Foundation for Arts and Culture; Han Youngsoo: Photographs of Seoul 1956–63 at International Center of Photography at MANA (2017); Why Future Still Needs Us: AI and Humanity at Art Center Nabi, QUT Art Museum in Brisbane (2016–17); BIAN, at Arsenal Montreal (2016); Mediacity Seoul 2012 Biennale, at Seoul Museum of Art; and ZERO1 Biennial 2012, at Zero1 Garage. The #BODY#morph collection counts already 68 artworks from 9 recognized international artists: Claudia Hart (USA), Exonemo (Japan), José Carlos Casado (Spain/USA), Kim Joon (Korea), Minha Yang (Korea), Sachiko Kodama (Japan), Tal Danino (USA), TeamVOID (Korea), Ujoo+Limheeyoung (Korea). 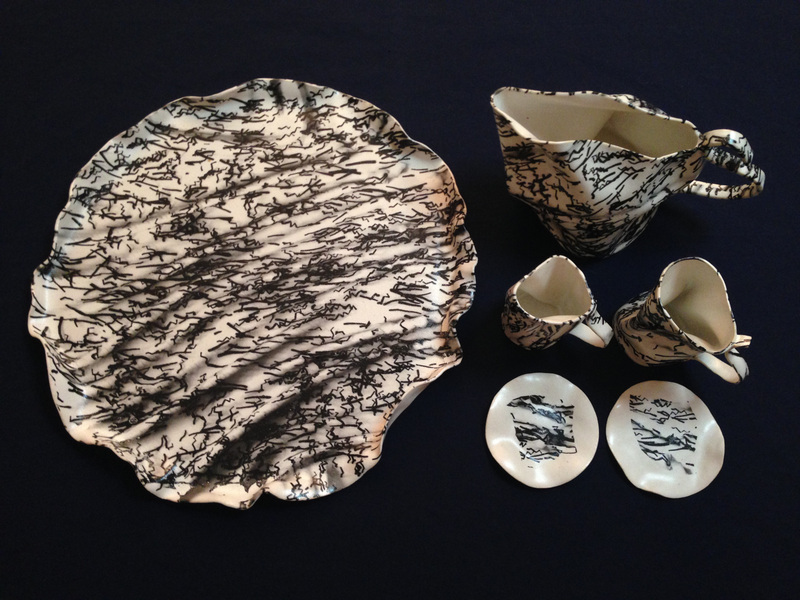 FOCUS ON 4 ARTWORKS FEATURED IN DOOEUN CHOI’S COLLECTION #BODY#morphs! Microuniverse is an arrangement of bacteria preserved in glass dishes. 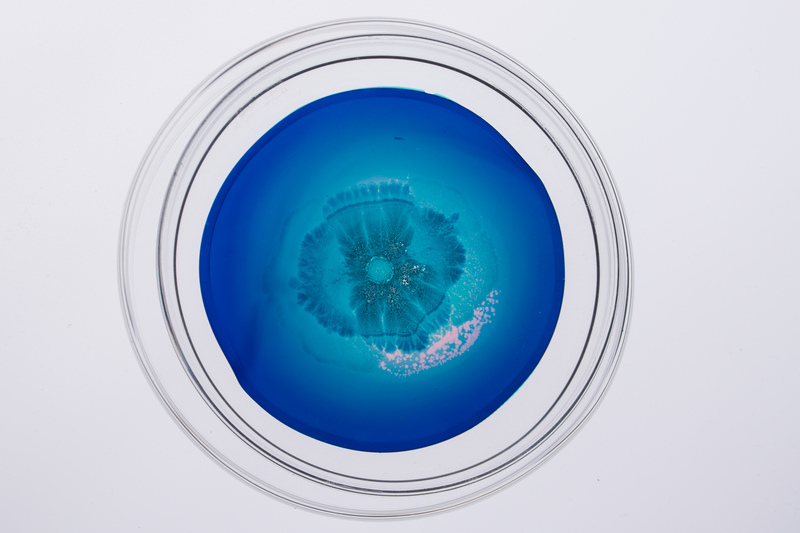 Tal Danino is an interdisciplinary artist exploring the emerging field of synthetic biology. His work transforms living microorganisms like bacteria and cancer cells into bio art works using various forms of media. TeamVOID is the collective formed by new media artists Junbong Song and Jaehyuck Bae that creates systematic artworks involving technologies. In their works they attempt to understand properties of general systems, applying their various backgrounds in engineering and arts into aesthetic explorations. Therefore, they design experimental systems and create them as interactive media, kinetic and light sculptures. Alice Tea Set is a porcelain tea set on which one can view a naked sleeping odalisque, through a smart device by using custom augmented-reality software. This sleeping figure tosses and turns, apparently lying across one’s meal. Artificially intelligent insects crawl in endlessly mutating patterns over both the illusory figure and your solid, “reality” food. The technology behind the Alice Tea Set is a special augmented-reality app, designed by the artist, created to accompany the miniature tea sets, hand-thrown by Kimi Kim. CLICK TO DISCOVER DOO EUN CHOI’S COLLECTION #BODY#morph ON ARTJAWS!